Home » What's New » Are You Aware of the Dangers of UV to Your Eyes? Are You Aware of the Dangers of UV to Your Eyes? Because of education to inform the public of the threats of Ultraviolet (UV) radiation to your skin, (which include sunburn and skin cancer), most know about the need for applying sunblock and avoiding direct contact with the sun when spending time in the sun. What is less known is that UV and other harmful types of radiation from the sun can also cause severe damage to your eyes. If you are thinking of leaving the house without sunglasses, reconsider. Continual absorption of the sun's UV radiation has been seen to be a cause of eye damage. Exposure to large levels of ultraviolet radiation over a short amount of time is known to cause a ''sunburn of the eye'', leading to pain, blurred vision or even temporary vision loss. Long-term UV exposure can cause more serious eye diseases including cataracts, macular degeneration, and others, all of which can be a threat to vision. Those who use welding machines, tanning beds and lasers are also at heightened risk of exposure to UV radiation. To protect your eyes from harmful UV rays, you should look for sunglasses that keep out 100 percent of UV light. Stick with shades labeled ''UV 400'', which indicates that they prevent all UV light (400 refers to the wavelength of light in nanometers). The size of your sunglasses is also important. 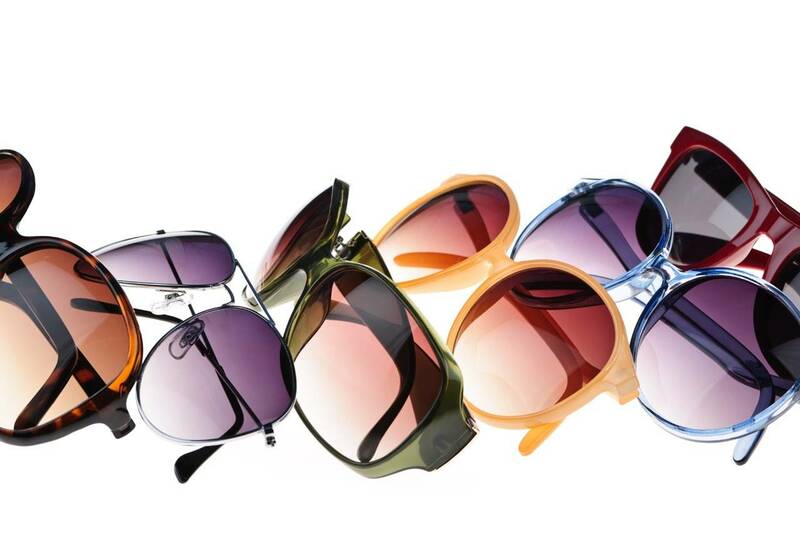 Wraparound sunglasses can prevent dangerous UV rays from coming in through the sides and back of the frame. It's not necessary to spend a lot of money on your sunglasses to have proper UV coverage, but it's essential to be sure the sunglasses give full UV defense. Many less expensive brands do offer proper defense against the dangerous effects of exposure to UV light. The great news is that in addition to guarding your eyes from the sun's harmful rays, trendy sunglasses are all the rage, so go buy yourself a pair (or two) and let the sun shine down!